Because health events can sometimes spring up out of nowhere it helps to know what your options are when facing recuperation from an illness, and injury, or surgery. Most would agree that time spent in a hospital is no fun. There are constant interruptions making getting rest very difficult, as well as all the surrounding noise and commotion on the hospital floor. Knowing that there is an alternative to a long hospital stay can be very comforting to someone facing a health challenge. 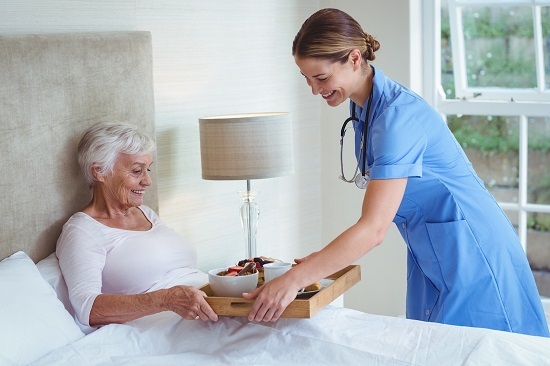 Private duty nursing near me is an excellent option to a protracted hospital stay, allowing you or a loved one to receive one-on-one skilled nursing care in the comfort of home. A private duty nurse is a licensed Registered Nurse (RN) or Licensed Vocational Nurse (LVN), so the care received will be as good or better than the nursing care received in the hospital setting. There are many reasons for needing to consider hiring a private duty nurse. Many may seek at-home nursing services in order to facilitate a shorter hospital stay. These highly qualified nurses can provide a wide range of medical care services right in your home, allowing you or a loved one to heal and restore health in a familiar, comfortable environment, and to leave the hospital as early as is feasible. Private duty nursing can also be provided for a number of other reasons, such as in-home palliative or hospice care, elder care, even drug or alcohol detox. Because a private duty nursing service provider has a team of experienced nurses in different specialties, there will be one who has the training and experience for any health or medical condition. What Is Private Duty Nursing Near Me? A private duty nurse works with the patient’s medical team in coordinating the specific care needed for the situation. This means that the private nurse will manage medications, dress wounds or surgical sites, monitor and respond as needed to changes in the medical condition of the patient, track and record all vitals to relay to the physician, and provide a variety of basic medical tasks. The private duty nurse is able to forge a trusting bond with the patient they are assigned to care for, in contrast to the revolving nurses at a hospital. The nurse provides not only medical assistance, but also emotional support, companionship, and can coordinated other ancillary services as needed. The family enjoys having someone capable in the home caring for their loved one, taking some stress off of their shoulders as well. The private nursing agency can coordinate other services, often carried out by home health providers. These services might include light housekeeping, cooking, bathing and hygiene, changing bedding, laundry, and running errands. The agency can also schedule holistic therapies to enhance the healing process, such as massage, IV vitamin therapy, meditation, and acupuncture. Kinkaid Private Care provides the highest standard of private nursing care available, serving communities in Southern California, Florida, and New York. Kinkaid Private Care’s concierge services menu is extensive, with specialized nurses offering medical support for a wide array of healthcare needs. For more information about private duty nursing near you, please contact Kinkaid Private Services today at (877) 388-6373.